When Her Majesty the Queen arrived for the State Opening of Parliament on Wednesday 9 May 2012, she could rest her mind at ease that the assembled VIPs waiting to gain entry for this historic occasion could shelter from the unseasonably wet May weather under a brand new bespoke awning manufactured at their Southampton base by Custom Covers. The State Opening of Parliament marks the formal start of the new 2012-13 parliamentary session. The primary purpose of this colourful state occasion is to set out the Government’s legislative agenda in the Queen’s Speech. The ceremony brings together the constituent parts of Parliament: the Monarch, the Lords and the Commons, a symbolic reminder of Parliament’s unity. 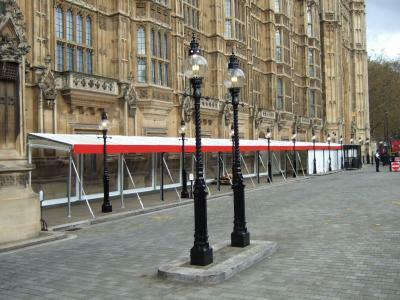 To make sure none of the dignitaries get wet while they waited to gain entrance to the ceremonies: Parliament erected a 43m x 2.5m entrance awning with bespoke guttering system. 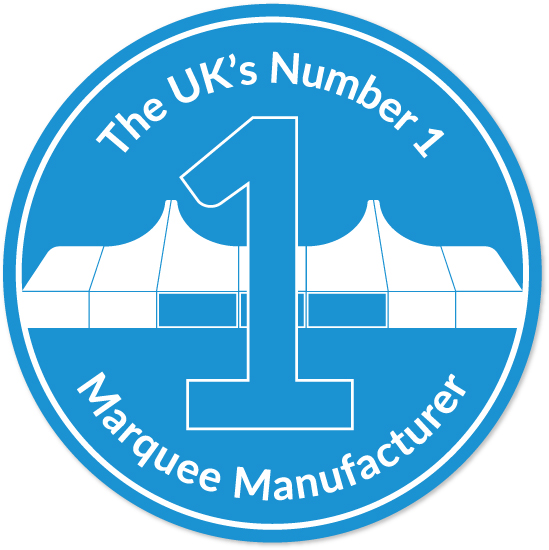 Custom Covers were tasked with designing, manufacturing and doing the first install of the bespoke awning for this historic occasion.